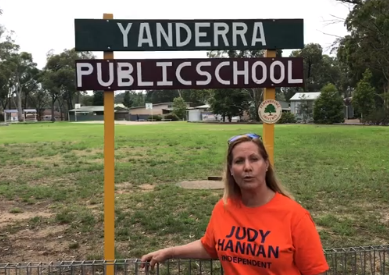 All things being equal, Judy Hannan would be the Liberal Party candidate in Wollondilly for the March 23 state election. Instead she is not only running as a high profile independent but as one with a realistic chance to win the seat, which has been held by the Liberals during the past eight years. There will more than banging of some heads if the Berejiklian Government falls – and loses the election by one seat. So what happened late last year; did the premier, who wanted Ms Hannan to run for the party, really get rolled by back room powerbrokers? “I am absolutely delighted to be able to talk about what happened,’’ says Judy Hannan. “I actually got approached by the Liberal Party, by the Premier [Gladys Berejiklian]. 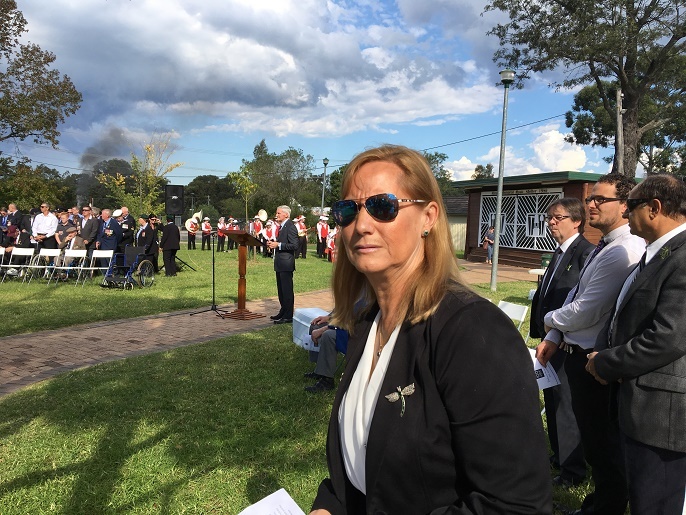 “We were at an event, at Menangle Park, and she said to me, ‘you need to join the party’, and when Jai [Rowell, the Liberal MP for Wollondilly for the past eight years] resigned I was phoned and she assured me that ‘you know, we’ll get you in the party’ and all the rest of it. “So she knew I was the best candidate for the area, but the state executive of the Liberal Party didn’t think the Mayor of Wollondilly was good enough to be a member of the Liberal Party,’’ Ms Hannan said. “The sad thing is that is about party politicking, that the person who is, you know, the head of the party, can’t even get their own way. “And this shows you the party, the intricacies of party politicking. “I believe if they [Liberals] had given us a local, you and I would not be sitting here having this discussion. “I didn’t come here for a job, I am part of the community – and that’s the biggest difference, even the premier thought I was the best person for the job. So there you have it, but Judy Hannan is far from being upset at how things turned out, or rather didn’t turn out, with the Libs. 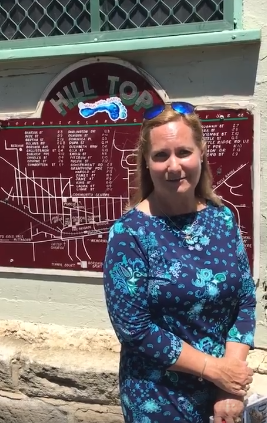 Just a few weeks after launching into her campaign as a fair dinkum independent for Wollondilly, the reaction from locals has convinced her things may have turned out for the best – for her and the area. “I’m getting unbelievably positive reaction – when I say I’m independent they say, ‘thank goodness’. “I’ve got to tell you I don’t like door knocking, but I am starting to enjoy it; I don’t get very far, because everybody wants to talk to me,’’ Ms Hannan explains. “And they tell me they’re jack of the major parties, they’re thankful they have an independence choice, and a lot of them know me anyway. “I’m so glad you’re doing that, they say to me. “People have been pretty amazing and I get stopped in the street; in Tahmoor today someone stopped me to say, can you drop some [election] signs over my fence. “That’s the sort of thing that’s happening, which has to be, has to be grassroots, I’m up against the major parties,’’ she says. “We can either choose to repeat or evolve in Wollondilly; if we repeat we’re still going to be a safe seat and won’t get the infrastructure we need; we’re just going to get the housing. Judy Hannan says it’s true some people are concerned what an independent can do in a system dominated by the two major parties. So she picked up the phone and had a chat to one of the legendary NSW independents, John Hatton, who represented the South Coast for many years. “A lot of politicians didn’t like him, but the community voted him in for 22 years,’’ says Judy Hannan. Except for anyone who’s been living on another planet, everyone knows that these past few years the mighty clash between urban development and rural land is the biggest issue in Wollondilly. Judy Hannan, who has lived here for 28 years, served on council for 14 years – three of those as mayor, is in no doubt development is winning the battle. Building blocks are getting smaller and smaller, cramming more people in while services lag behind. She wants to go to state parliament and fight to restore the balance between rural needs, including farming, and development. “There are 16 towns and villages in the Wollondilly council area, and those could do with a little bit more development around them and within them, but it’s the spread, urban spread, the size on the periphery that we are being forced to have,’’ she says. “I agree around railway stations you can have smaller blocks of land but even outside those blocks, when council approves blocks that are 750 sqm the department of planning and environment or the state government come in and go: No, we’ll have 450 sqm, no, we’ll have 250 sqm. “And I’ve even heard the suggestion of 50 sqm blocks at Wilton! “And I said, how can you even do that? And they say, build to the three boundaries and put a rooftop garden on the third floor. “But you’re in the middle of nowhere, not the middle of the city,’’ says Ms Hannan. Wollondilly should be developed in such a way that it can continue to service Sydney with food. But local farmers are doing it tougher than ever and Judy Hannan thinks there’s a way to help them balance the books. “One of things I’d like to see is zoning set in the Local Government Act, and it’s what you can do in a zone; imagine if our farmers could run weddings, bed and breakfasts, market days, on their property, it wouldn’t cost council or state government any money, and it would make farming more viable,’’ she explains. In the past four years the state government, in its wisdom, stripped NSW councillors of all planning powers – ostensibly to reduce corruption – brown paper bags under the able, that sort of thing. Judy Hannan is one of many people who believe the state government got wrong big time. “In the 14 years I have been in local government I’ve only ever seen someone trying something once; literally a brown paper bag came into council and they had it out of there quicker than you can believe,’’ Ms Hannan says. “Councillors work so hard, and are so engaged with the community, but instead we now have a committee of people or IHAPs (Independent Hearing and Assessment Panels) that are given to us mostly by the government, and I don’t say they have any issues, but they’re not close to the people, and if the people don’t like what they do, they can’t vote them out,’’ she says. Judy Hannan says she is not sure which major party will win the NSW election, but it will be close. But she wants the voters of Wollondilly to be sure that if they elect her on March 23 they will get someone who will fight for them every single day. Including government plans to raise the Warragamba Dam wall by 14 metres and continue to advocate for fair dinkum measures to protect local koalas. “I vow that I will do all that is in my power as your elected MP to put your lives, our lifestyle, our environment and its character first above all else,’’ she says.